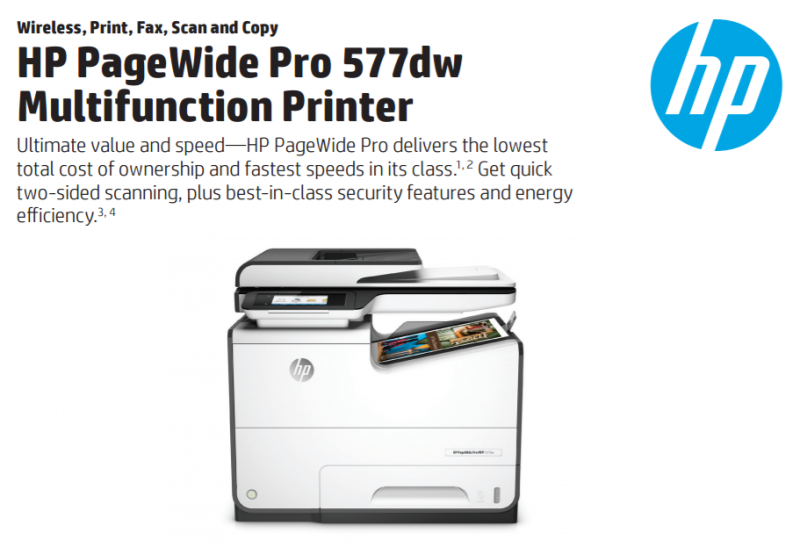 Ideal for small and medium businesses that want affordable, professional qualityand versatile document solutions in a fast, high-performance MFP. Proven technology. Superior energy efficiency.4 • Minimize downtime with HP PageWide Technology that delivers reliable performance businesses demand. • Conserve with HP PageWide Technology—designed to use less energy than any MFP in its class.4 • Print up to 13,000 colour pages and up to 17,000 black-and-white pages—and go longer between replacements.7 • Get professional-quality colour documents and the performance you expect with Original HP PageWide cartridges.